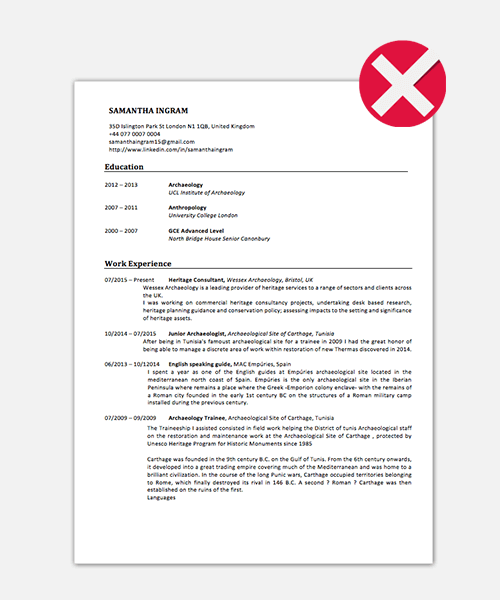 Learn how to properly write a resume with our comprehensive Resume Writing Guide. What’s the secret to a great resume? A resume is a personal marketing tool that is used to present a candidate’s application to a job offer as well as the people who are in charge of the hiring and selection process. 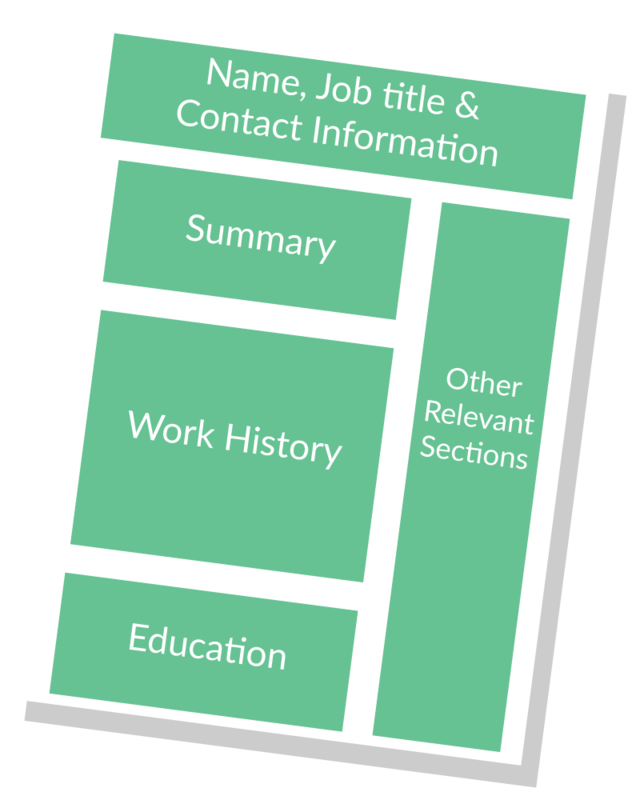 Resumes aim to summarize a candidate’s contact information, work experience, education, and skills . Although the idea is simple, when it comes to actually writing a great resume many people find it quite challenging. With this guide to resume writing we will help you through the writing process and give you professional tips on how to write a great resume that will land you more interviews and lead you to your ideal job! Before getting started, it is important to first think about the purpose of your resume. Although it seems obvious, the objective of your resume is to advertise yourself and your abilities in such a way that catches the eye of the hiring manager, and for them to want to get to know you better in an interview. Even today, many candidates are not aware of this fact and as a consequence they continue to treat their resume as a mere formality. This is the reason why the majority of resumes look alike. This means you need to select the most relevant facts about your career history, achievements, and skills and present them in a unique way that shows off your strengths and disposition for the specific job position. Remember the purpose of a resume is to persuade the potential employer that you are worth interviewing, to meet the person behind the resume and learn more about how you can take on the responsibilities of the job at hand. The idea is to show the employer that you are the best possible candidate to tackle the job. Don’t forget that everybody has a resume, so the only way to make sure that you will receive a callback is to make your resume stand out from the rest, capture the attention of the person in charge of the hiring process and clearly demonstrate why you deserve the opportunity to interview with them. The secret to a great resume, is actually no secret at all. It only requires two important elements: content tailored to the job position at hand and the correct format! The content is easily the most important section of a resume, but the content alone does not guarantee you will get an interview. Even with exceptional content, your resume can go unnoticed if it is not combined with the correct format. Remember that when we talk about good content, we are referring to consistency between your resume content and the job offer. This cannot be said enough - By using the same resume for various applications you are essentially losing a significant opportunity to capture the attention of the recruiter. The key is to tailor your resume content to the specific job role. The first step is to thoroughly read the job offer description and research the company. After, you must come to an understanding of the qualities that the company is looking for in a candidate. Finally, the idea is to customize all of your resume sections in a way that demonstrates that you possess these exact characteristics. Each one of the elements included in your resume has to have a valid reason for being there. In other words, there is not one correct structure, with predetermined sections that should be on your resume. You must choose the ones that are most important for your application, as well as the content that should be incorporated in these sections. Try to focus attention on your virtues and downplay any possible disadvantages of your professional profile. Of course this requires some in depth reflection and decision making. We can help you make this process a little easier with our Secret Formula for Crafting the Perfect Resume, which gives you advice on how to construct each section, such as work experience, skills, interests, as well as real life examples. As mentioned earlier, even if your resume is perfectly written and the content has been carefully researched in order to show your greatest achievements and full professional potential, it can easily by tossed aside if it is not readable. The readability factor is one of the most influential parts of what makes a resume grab the hiring manager’s attention. If there are errors, too much information in a small amount of space, or the layout is poorly formatted, your resume will be thrown straight into the garbage. The readability of a resume is an essential part of ensuring that the hiring manager considers you for the job. Another critical aspect of a great resume is its format. Your resume will certainly go unnoticed if it is too plain, without any color or style that would differentiate it from the rest. 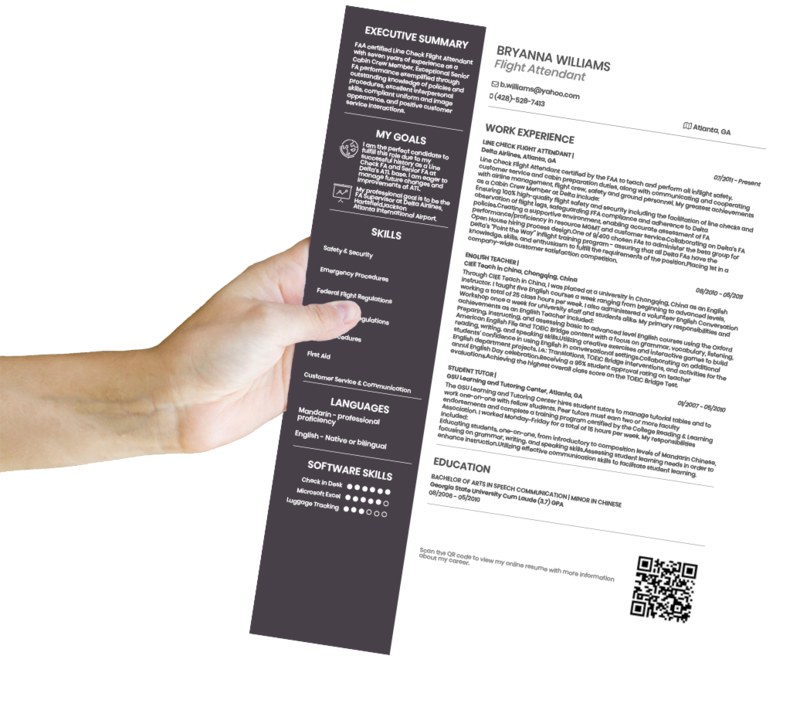 In fact, as most recruiters would agree, the vast majority of resumes look the same, with the same format including simple text with black and white monochromes. In theory, your resume should not be overlooked, due to the fact that you have valuable content and correct spelling and grammar, however recruiters have many resumes to review and not much time to make the final decision. For this reason, we recommend selecting a design that contains elements in different colors, not just a simple black and white design. However, you should also avoid resumes with too many colors or with colors that are too gaudy or showy. No matter whether you a preparing a professional resume, student resume, graduate resume, or if you’re writing a resume for a first-time job, it is important to remember that you are not the only one. Therefore you must make your best effort to create a detailed yet attractive resume that will make you stand out from the many other applicants. It is crucial to keep your resume as concise and to-the-point as possible. The fact of the matter is that hiring managers have a considerably short period of time to read over each resume that they receive. They often have up to hundreds of resumes to review in only a brief amount of time. Hence, one page is always the best option. This is the most commonly expected length for a resume. Although, some employers are divided on this subject due to the fact that the page range may depend on a specific job position or career field. For instance, two page resumes are often accepted for senior professionals (more than 6 years of experience). Certain job roles, such as architects or doctors may need to showcase industry related projects, which can thus require more than one page. Despite this division, the most widely-accepted length remains to be one page. For this reason, you must choose the information that you put on your one-page PDF resume wisely. You need to select the most pertinent information for the job position at hand. Any extra information such as certificates, references, projects, conferences, seminars, or professional development can be included on your online resume. This does not mean that you cannot write a longer resume, only that the general recommendation is to maintain 1-page. If you have a long and relevant work history, you may need to extend this section of your resume as long as the information is suitable to the application. The best advice is to follow the job post requirements. In other words, if it says to submit a one page resume, send one page. If the posting specifies otherwise, we still recommend one page (as you can always elaborate more on your online resume), but as previously mentioned, depending on the circumstance, you may be able to submit more than one page. Remember that if you are not able to express as much information as you would like to on your paper resume, onlineresume.us provides you with an online resume. This enables you to go into more detail on certain subjects, elaborate on specific projects, skills, achievements, or experiences, as well as include links and videos! Don't include irrelevant information or experiences. Try to avoid incorporating information that is unrelated to the job position at hand. Even if your career history is not directly related to the role, try to write about it in a way that makes it relevant. Describe the skills that helped you succeed within your past positions, as well as your greatest achievements, in a way that corresponds with the job position and company that you are applying to. Don't use generic statements. Cliché phrases are also a big no-no. Instead, try to be creative and original. 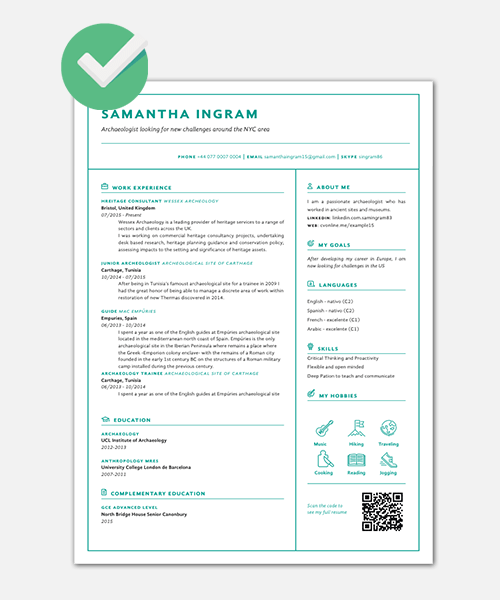 Show off your unique self by making your resume as personalized as possible. Don't utilize informal fonts or those which are difficult to read. Remember, readability is everything! Similarly, DON’T use too many colors or colors that are extremely garish or showy. Don't include references, unless the company/hiring manager specifically requests them. In general, it is not necessary nor is it recommended to put references on your resume. For one - it takes up a lot of valuable space that could be better utilized to emphasize your professional history and qualifications. We advise creating a separate document with your referees’ contact information that can be sent upon request. In addition, you can and should include references and recommendations on your online resume. Don't keep anything from high school. Frankly, potential future employers are just not interested in what clubs or activities you participated in before undergrad. You need to keep your resume as up-to-date and to-the-point as possible. Unless it is clearly and specifically related to the role you’re applying to now, don’t include it on your resume. Employers want to see that you have taken on leadership roles and meaningful responsibilities, as well as made accomplishments in your most recent past and present. Luckily, high school doesn’t last forever, nor does the significance of your secondary achievements and performance. Don't use your university GPA unless it is a 3.5 or higher. In addition, make sure to include any distinguishing honors you may have earned during your university career. Generally, it is advised to keep this information for 2-4 years after your graduation, after which we recommend focusing on more recent professional accomplishments and/or honors and awards. Don't list your entire university coursework - that’s what a transcript is for. Don't include your political or religious affiliations. Even if you have spent time volunteering for a specific political or religious group, it is best to leave this information off of your resume. The one exception would be if you are applying to a job that is directly related with similar political or religious institutions. In many countries, it is actually illegal to ask about this kind of personal info and including it could put yourself at risk of being tossed out of the application process. If you’re not sure whether or not to include certain activities, seminars, publications, awards etc., or you simply do not have enough space, you can always include them on your online resume. Incorporate a call to action, as well as the link or QR code, on your paper resume, and motivate the hiring manager or potential employer to check out your extended professional profile online. When it comes to writing resumes, it’s no easy task, but remember there are lots of materials and resources out there that can make the resume writing process a little more straightforward. Make sure you have the best resume possible by creating a resume with the help of resume templates, examples, and online resume builders. With our online resume maker, guides for each resume section (including tips from expert career advisers), and one-on-one resume and interview coaching, onlineresume.us can help you craft a winning resume, get more interviews, and ultimately land your dream job.